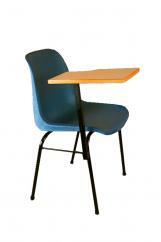 Four legged stacking chair standard colours Blue and charcoal with lecture. Other colours on request. 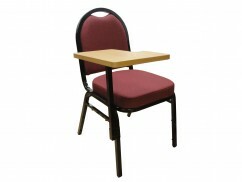 Ideal for use in training rooms . 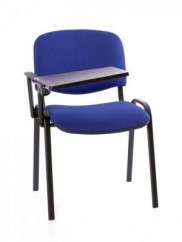 Heavy duty polypropylene chair with leg brace and wooden writing tablet. 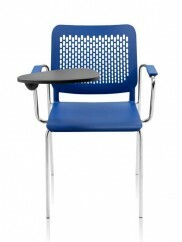 Ideal for training centres. 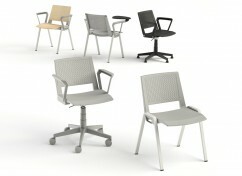 Seat height: 460mm Available in Black, brown, blue, grey, and red.